It REALLY bites in NJ where workers paid more in taxes than they’ll ever get back. And that was before the state and local property tax deduction changes. But you know, it’s your fault for living in a blue state. Stupid fools punished people in GA who itemized too. So while it was intended to punish people in places like NJ and NY the unintended consequences were tax increases in red states. IKR? I ran for school board on a ticket with a Republican. He was reasonable. The township republicans were a rotten bunch though. I added up what we got in paychecks and what we have to pay and we have to pay it all back plus some. The whole idea of a tax cut was really nothing but just another scam from Trump like Trump University. Running scams is all he knows how to do. I had quite a bit of concern, heading into the midterms, that the reality of the tax cuts weren’t’t going to be in evidence until after the elections. Thankfully (and sadly) it turned out that there were plenty of other motivations for voting blue. Between the shut down and the tax debacle, even with a kid glove media and social platform skulduggery, the R’s are digging themselves into a pit. If the media didn’t lie and/or bothsides everything, this would have been obvious, simply through math. Paul Krugman had been saying this since before the tax cuts for the multimillionaires, plus the abolishment of the estate tax, went through. Not only are we now running ever-increasing deficits, but the government is being mostly funded by the middle class, since the tax rates for the super-rich are lower than since the income tax was first installed, around 1916. The corporations and oligarchs have relentlessly lowered their tax rates, by duping the middle class into thinking that they are getting their taxes lowered, too. Sometimes they did, slightly, but at the cost of government services. This time, they didn’t even bother to lower taxes on the non-wealthy. The system of supposedly representative democracy, if not broken, is seriously awry. Yes, these Republicans were elected, but about 65% of the economy comes from blue states and cities which are underrepresented in our electoral system. We knew that if the Republicans ever got control of all branches, they would plunder the economy, and they did. 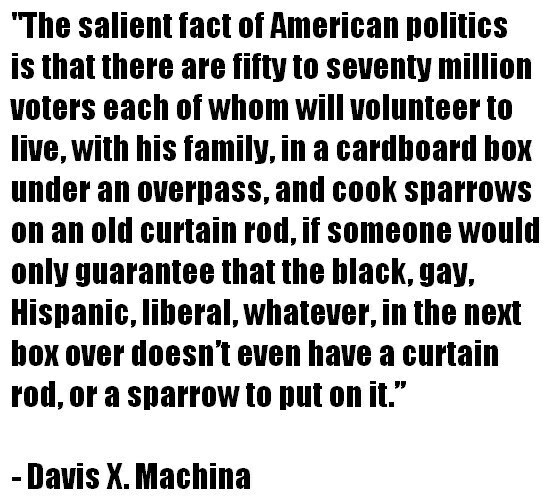 A popular minority managed to game the electoral and voting systems so that they could gain permanent power. The representatives do not represent the people, because the tax bill had very little support, but they only answer to to their corporate donors, so they rammed the bill through, even as polls showed great public disapproval. 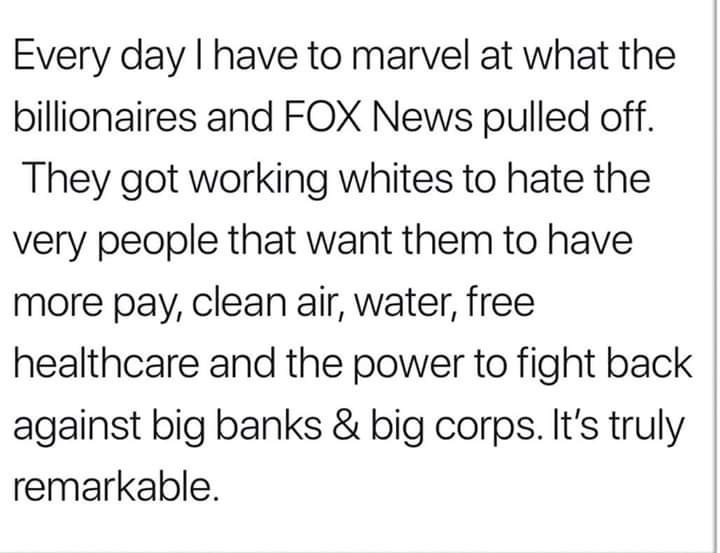 What much of the populace seems to never understand, is that if you vote Republican based on hyped-up racial or gender or anti-elite, anti-intellectual themes, you are just handing over your wallet to the wealthy people who never have enough of your money, and always look for ways to get more of it. #1 problem? Mean and stupid people are allowed to vote. WTF is wrong with TurdPress NOW? For a few minutes, I could not post. Please feel free to erase the superfluous posts. I usually get a notification if something is stuck. No notification this time. Maybe it’s an Internet brain fart? Aaaaand now it’s doing it again. Sayonara for now. Maybe I’ll have better luck some other day.